Scooby Doo is an American hero. No, I’m not talking about the cartoon dog. I’m talking about the robot. 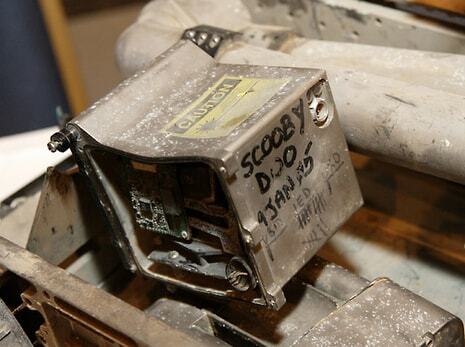 You see, Scooby Doo was an iRobot PackBot. 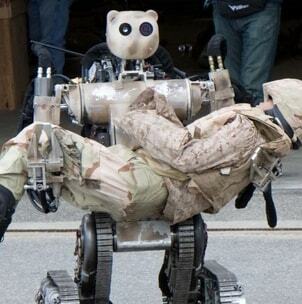 PackBots are 60-pound, treaded robots that are used for reconnaissance, surveillance, and bomb disposal. They have four cameras, an arm with a gripper, and flippers that vault them over obstacles. And Scooby Doo was one of the best. Through the course of his service, Scooby detonated or disarmed 17 IEDs, one car bomb, and an unexploded bomb, which is a major get for an explosive ordnance disposal (EOD) unit because it provides intelligence on the bomb's maker. Like an ace fighter, every successful kill was notched on Scooby’s armor. But sadly, Scooby Doo was destroyed on his 19th mission in Iraq. You might not realize this, but IEDs are the No. 1 killer of U.S. soldiers. And eventually, even Scooby Doo succumbed to one. His soldier brethren were inconsolable. Back at Camp Victory, a veteran EOD unit member rushed into the repair depot. “You’ve got to fix Scooby!” he said, clearly emotional and stressing the urgency of the matter. Today, Scooby Doo rests at iRobot's on-site museum in Bedford, Mass, with a dedicated plaque commemorating his service. So join Outsider Club today for FREE. You'll learn how to take control of your finances, manage your own investments, and beat "the system" on your own terms. Become a member today, and get our latest free report: "Prophets of Doom: How to Make Pessimism Pay". I, for one, salute this brave soldier. As a man who was once despondent when my first car finally broke down, I know what it’s like to get attached to inanimate objects. And my car didn’t do half the work old Scooby did. For me, it’s easy to see why soldiers get attached. Some even give their robots promotions, Purple Heart awards for being wounded in combat, and military funerals. 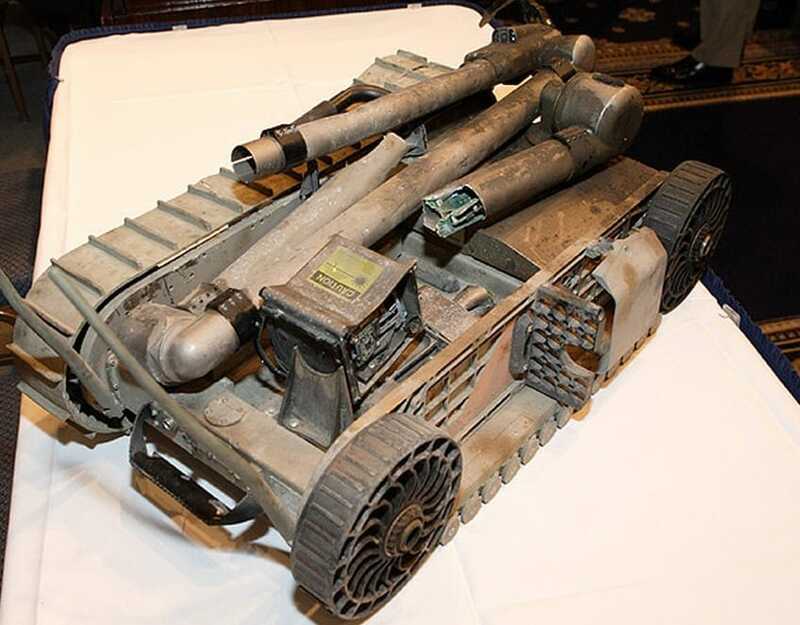 In one instance, a soldier ran 164 feet under machine gun fire to retrieve a robot that had been knocked out of action. That’s an ironic twist, considering these robots are made specifically to keep soldiers out of harm's way. But it’s a band of brothers… even if some of those brothers happen to be machines. Military robots are out there right now, disarming bombs, mapping minefields, tracking enemy submarines, flying as wingmen for advanced aircraft, and much more. The Battlefield Extraction-Assist Robot, or BEAR, came out of the U.S. Army Infantry Center Maneuver Battle Lab at Fort Benning, Ga.
It’s designed to go and grab incapacitated soldiers and carry them to safety. And it can be controlled remotely by a motion-capture glove or specially-equipped rifle grip. "We have lost medics throughout the years because they have the courage to go forward and rescue their comrades under fire,” says Major General Steve Jones, commander of the Army Medical Department Center. “With the newer technology, with the robotic vehicles we are using even today to examine and to detonate IEDs, those same vehicles can go forward and retrieve casualties." The military has also long been testing autonomous ambulances — vehicles that can brave dense forests, urban centers, and combat zones where choppers, with their vulnerable rotors, can't. This isn’t strictly military technology, either. It can serve the same purpose in the civilian sector. Robots were used in the aftermath of 9/11 to clear rubble, find survivors, and pull them to safety. They’re used for dangerous search and rescue missions, venturing into burning buildings and forest fires to locate survivors. In the future, rescue drones will be the first on scene, rushing into fires, tunneling under collapsed buildings, searching for undersea plane wreckage, and more. The U.S. military has already fielded more than 12,000 ground robots and more than 7,000 flying drones. The private and public sectors could deploy many multiples more. That’s why I just released a special report on drone investing. It highlights the very best investment plays in this fast-growing field. I was only looking for one company that could make a fortune for investors, but I ended up finding three. We're fortunate enough to have access to the legendary Mr. James Dines and his renowned research. 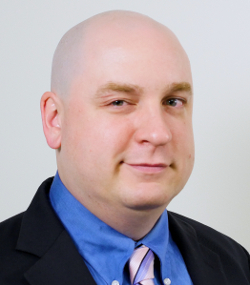 Mr. Dines is "The Original Gold Bug" and has been on the forefront of covering investing in China, giving him an unprecedented depth of perspective on the escalating trade war. What’s the future of warfare look like? For centuries humans fought hand-to-hand, with clubs, swords, pikes, and maces. Those weapons were replaced by cannons and flintlock rifles, which gave way to artillery and machine guns, which were superseded by tanks and fighter jets. What’s next?